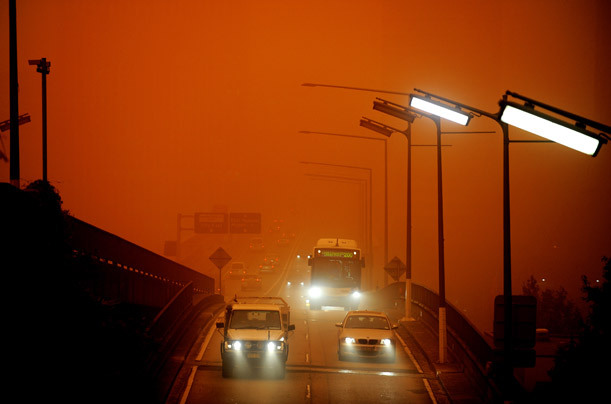 Traffic struggles through the haze, the wind having brought thick dust to Sydney's streets. The storm crippled the transportation system. Children, the elderly and people with respiratory problems were told to stay indoors until the dust cleared.